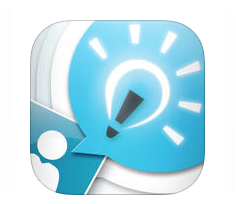 There are a wide variety of apps available to support French language learners. Here are some of the Apps we have tried with our own French immersion students. 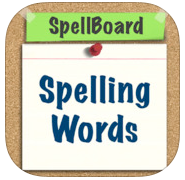 Spellboard is a versatile app that can be customized to suit the needs of your second language learners. The teacher starts by taping the manage words button. Here you can add in the words you want your students to work on. Tap the add word button and a new screen will pop up. You can change the language by scrolling down to the languages tab and choosing from a wide variety. I use French (Canada) and there is also French (France). Type the word you want in the box and then you can either use the narration provided for the word or record your own. In order to provide prompts for the student, you have the option to add in a phrase, an image, synonyms and/or antonyms. Next go to the quizzes box on the home page to add a new quiz. Tap new and add the words you want the students to practice. Don't forget to name your quiz. You can add in the students in your class in the students tab. The student will choose their name from the list before playing. All progress is saved in the student's profile and is easily accessed by the teacher. The students can practice a variety of skills in the activities tab including studying the words with audio and image support. There is also a mini whiteboard at the bottom to practice writing out the word. Take the quiz is another activity where the word is dictated and the students try to spell it. If you added an image, the visual support will also be available to the students. Other activities include missing letters, word scramble and word search. The only one that may not be suitable is alphabetize if you add in the articles. 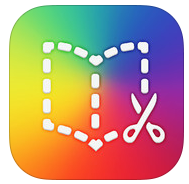 Book Creator allows students to create books for sharing using the iPad. Books that are created can be shared to iBooks, allowing other students to read student created stories. The app is easy to navigate by simply tapping the new book button on the opening screen. When prompted, choose a portrait, landscape, or square size for your new book. Tap the + icon to insert what you want in your book. Options include photos; from either the gallery or you can take a picture using the built in camera. There is a pen option for writing and drawing with 3 line thickness options and an infinite choice of colour. Text can also be inserted using the keyboard. When text is selected, tap the i symbol to manipulate the font, size, colour alignment, position and the background colour. Students can also add narration, or music to their pages using the add sound option. To share completed books, tap the share symbol and select iBooks. The ability to create an iBooks is highly motivating for students as it provides an authentic audience for their writing. Students could work individually on a book or collaboratively. The ability to take pictures of real people or classroom situations to write about is engaging to students as it applies to their real life experiences. 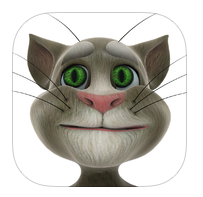 Talking Tom (Free app from iTunes, click on app for additional information) - Tom is your pet cat. He responds to your touch and repeats everything you say with a funny voice. This application is provides an opportunity for students to hear themselves speak in French. Teachers will want to lock the top of the screen where running apps are constantly being displayed and have no educational benefit (i.e. those apps unlock additional actions, which include the cat passing gas). 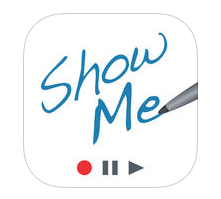 ShowMe (Free app from iTunes, click on app for additional information) - Show Me is a presentation and creation application. It is an open-ended 'whiteboard' where students can show what they know and save their work. Teachers may access the ShowMe database which includes a Language section. This application is integrative in nature. It allows teachers an opportunity to create lessons, remediation options and accessible references for student review. There are many ways that teachers can incorporate this dynamic tool across grade levels and content areas. Click here for a student example. Explain Everything - Explain Everything is an essential tool in your repertoire! This app allows students (and teachers) to create, collaborate, communicate and consume content, including young learners. Essentially, Explain Everything is an app with a whiteboard type screen that allows users to record audio and video, write, and move objects all while recording in real time. Second language skills are fostered through speaking, listening, explanations and oral presentations. Explain Everything also integrates with several free cloud services. Projects, pictures, files, and videos can be uploaded to Dropbox, Google Drive, and YouTube. 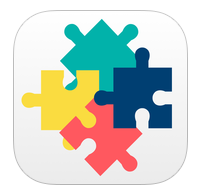 EDpuzzle - is an up and coming app! It enables teachers to make or select from a wide variety of educational videos (including National Geographic, TEDed, Vimeo and KhanAcademy) and effectively incorporate them into their lessons. Teacher are able to crop video, a﻿dd voiceover, questions and embed quizzes. This app can be found through the Chrome Store and be accessed through your Google Plus account. It is also available from the iTunes store as an mobile app.